Taylor Agency’s Commercial Insurance Division understands that business is the lifeblood of any community, and we have an unwavering commitment to insuring its success. As one of the largest, independently owned, commercial insurance agencies in South Carolina, Taylor Agency maintains long-standing, strong relationships with 100+ top rated, property, casualty, and surety insurance companies that can provide superior coverage and prices. Headquartered in Charleston, South Carolina for four decades, we excel in understanding the business risk exposures unique to Charleston’s greater metro area. As such, we become an integral partner in every client’s office, working hard for their long-term business protection, success, and continuity. Our experienced agents offer vast industry expertise, backed with earned accreditations, insurance designations, and ongoing next level certifications. In our consultative approach to businesses of all sizes, we know that no two businesses are the same. As such, we analyze our client’s risk(s) thoroughly, recommend the best courses of action, and actively negotiate with our carriers for their benefit. Businesses who partner with Taylor Agency gain online access to both our Client Portal and Commercial Risk Management Center. Our client portal grants clients instant accessibility to COIs (Certificates of Insurance), auto ID cards, vehicle equipment schedules, claims reporting, policy change requests, and much more. Additionally, our risk management center is a comprehensive OSHA (Occupational Safety and Health Administration) compliance platform. It includes an extensive human resource library, online OSHA education/training, and whenever a client has questions, unlimited access to an online human resource and safety expert. When sensibly leveraged, our risk management center provides our clients a cost-effective tool to assist in generating fewer claims and reducing overall employee/occupational safety risk. Taylor Agency offers coverage for every scope and size to meet every business risk exposure. Below are some of the coverage types we offer. To see how we can partner with your business, Contact Us Today! 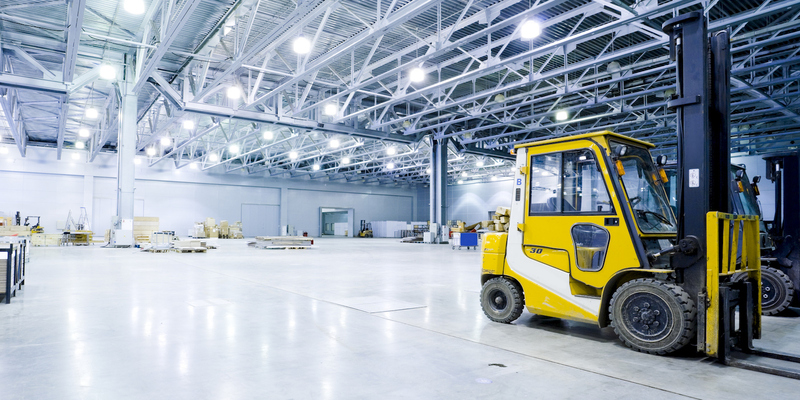 Commercial Property insurance covers losses to tangible property, such as buildings, furniture, fixtures, inventory, contents and equipment. It can also cover consequential losses, such as the loss of business income, rents and extra expenses. Damage can result from a variety of perils including fire, vandalism, theft, windstorm, and others. Natural disasters, such as earthquake and flood, can be purchased separately. CGL insurance is designed to protect business owners and operators from third parties resulting from a wide variety of liability exposures resulting in bodily injury or property damage. Exposures could include liability arising from accidents resulting from the insured’s premises or operations, products sold by the insured, operations and projects completed by the insured, contractual liability, and personal and advertising injury liability. Business Auto liability insurance provides coverage if an insured is legally liable for bodily injury or property damage to third parties caused by the ownership, operation, or use of your vehicles. The Business Auto policy may also include Collision coverage to protect damage to your vehicles resulting from a collision or contact with another object, or Comprehensive coverage to protect you from damage or loss of your vehicle from something other than a collision, such as fire, flood, hail, theft, or cracked windshield. Workers Comp is an insurance policy that provides coverage for an employer’s two key exposures arising out of injuries sustained by employees. In most circumstances, it is required by law. Part One of the policy covers the employer’s statutory liabilities under workers compensation laws, and Part Two of the policy covers liability arising out of employees’ work-related injuries that do not fall under the workers compensation statute. In most states, the standard workers compensation and employers liability policy published by the National Council on Compensation Insurance (NCCI) is the required policy form. This type of insurance is designed to provide coverage for the transportation of goods either on the ocean or waterways (Ocean Marine), or by land (Inland Marine). Ocean Marine insurance can also cover damage to the waterborne instrument of conveyance, such as boats, ships and barges, and to the liability resulting from third parties arising out of these operations. Inland Marine insurance would include coverage for equipment and tools owned or rented by contractors and building materials being transported and installed at jobsites (Installation Floater). D&O Insurance provides coverage for corporate directors and officers against claims, most often by stockholders and employees, alleging financial loss arising from mismanagement. The policies contain two coverages: the first reimburses the insured organization when it is legally obligated (typically by corporate charter or state statute) to indemnify corporate directors and officers for their acts; the second provides direct coverage to directors and officers when the organization is not legally obligated to indemnify them. In addition, a third type of coverage, known as entity securities liability insurance is usually available on an optional basis, for additional premium. Such coverage insures the corporate organization in connection with securities it has issued. D&O forms are written on a claims-made basis, generally contain no explicit duty to defend the insureds, and typically exclude intentional/dishonest acts and bodily injury and property damage. E&O insurance is designed to protect professionals against liability incurred as a result of errors and omissions in performing professional services. Although there are a few exceptions, most professional liability policies cover economic losses suffered by third parties, as opposed to bodily injury and property damage (which is typically covered under commercial general liability policies). A list of “Professionals” is exhaustive and may include almost anyone operating a business. A few examples are physicians and health care (Medical Malpractice Insurance), attorneys, accountants, engineers and architects, real estate professionals, technology companies, consultants, instructors, and many more. The vast majority of professional liability policies are written with claims-made coverage triggers. EPLI insurance is a form of liability insurance covering wrongful acts arising from the employment process and relationship. The most frequent types of claims alleged under such policies include: wrongful termination, discrimination, and sexual harassment. The forms are written on a claims-made basis.